The peaceful conduct of the 2019 elections in Abia State, from the Presidential/National Assembly to the Governorship/State House of Assembly polls, without any rancour or record of loss of any human life, is a testimony to quality leadership, and has shown the character, courage and competence of Okezie Ikpeazu Ph.D, not just as a governor, but also as a leader who cares so much about the lives and property of the people whose mandate he holds in trust, while relying on God’s grace and guidance, and paying little or no attention to his personal political or material gains. Such humane dispositions of a governor are rare in our clime. It also goes a long way to explain why Abia has been politically stable since Governor Ikpeazu assumed office on May 29, 2015, making him the first Governor in Abia State’s political history without a quarrel with his deputy, and also the first Governor to finish his first term with his deputy and also run for a 2nd term with the same deputy. 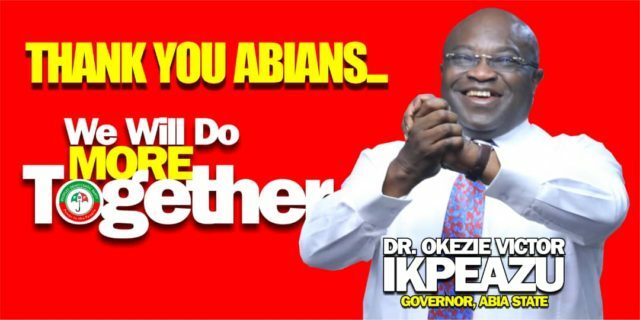 Okezie Ikpeazu has shown that he has the capacity to ensure peace and stability even in times of crisis and tension. 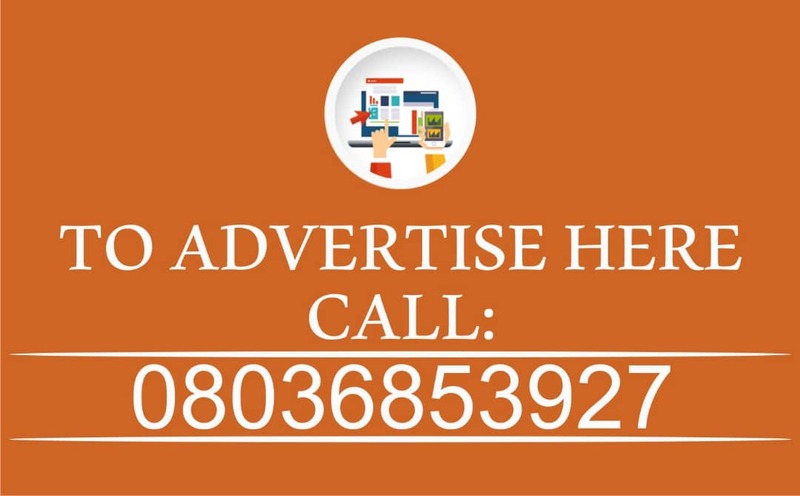 Prior to the elections, there were insinuations and agitations of plots by the opponents to foment crisis in the state. Such plots became so loud and clear after the Presidential and National Assembly elections which gave the All Progressives Congress (APC) an upper hand over the ruling People’s Democratic Party (PDP) in the Abia North senatorial zone of the state particularly. Amidst all that, Governor Ikpeazu was firm, focused and courageous; his only concern was the safety of lives and property of Abia electorates and all her residents. He ensured that no plan of the opposition to destabilize the state and instigate crisis saw the light of day. Recall that Governor Ikpeazu has worked so hard since assumption of office in 2015 to keep Abia uninterruptedly stable politically; politicians of all sides in the state were given a level playing field to operate. Unlike the old order, where Governor/Deputy Governor relationship was always in bad shape, in the news for the wrong reasons and formed an avoidable cog in the wheel of the State’s progress, Governor Ikpeazu ensured that Rt. Hon. Ude Oko Chukwu, his deputy, did not only complete his tenure, he also got him renominated as his running mate for the 2019 gubernatorial election despite high wired plots by the Deputy Governor’s kinsmen in Abia North to have him replaced for untenable reasons, thereby making Chukwu the first Deputy Governor in the history of Abia to finish his first term and also go for reelection with his boss. The icing on the cake between the duo is that there has even been no record of any rancour of whatever kind between them. Recall that when Orji Uzo Kalu was Governor, from 1999 to 2007, he had three deputies, beginning with Senator Enyinnaya Abaribe, to late Dr Chima Nwafor, who died in controversial circumstances while in office as the second in command to Kalu. Under Kalu, Abia was sharply divided politically. The likes of Abaribe, Hon. Eziuche Ubani, late Chief Ojo Maduekwe, Chief Onyema Ugochukwu among others were maliciously labeled “Abuja Group”. They always fought their ways to Abia for political gatherings and events. The Kalu regime ensured that the “Abuja Group” were never accommodated back home. He denied them grounds to campaign or organize any political gatherings. The state also witnessed political killings and witch-hunt of those who refused to be loyal to the system then. Political leadership in the state was at its lowest point under Kalu. After Kalu came Senator Theodore Orji. He started with Dr Chris Akomas as Deputy, before 2011, Orji and Akomas fell out, while Orji left Progressives People’s Alliance (PPA) which was Kalu’s personal political party, and joined the PDP, Akomas remained in PPA with Kalu and even contested against Orji in 2011. Hon. Acho Nwakamma replaced Akomas as Orji’s deputy and they also later fell out. Nwakamma was later dropped and replaced with Chief Emeka Anaba. In 16 years of Kalu and Orji governorship in Abia, there were 6 Deputy Governors, an overwhelming evidence that the Governor-Deputy Governor relationship in those years was hostile, making it impossible for the state to enjoy political stability, infrastructural and developmental advancement. All that changed with the coming of Governor Ikpeazu who also happens to be the first Governor from the Ukwa-Ngwa clan of the state, despite its majority status. Ikpeazu has returned Abia to the path of honor, progress, political and economic stability, and respect for each other and office. In the days ahead, it is believed that whatever is left undone, will be done. Before the election, various polls projected Ikpeazu to win based on very glaringly incontrovertible factors in his favour. 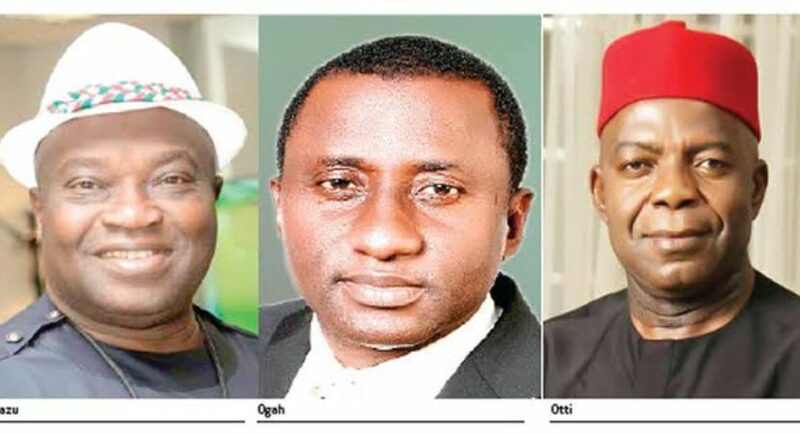 One of such factors is the Abia Charter of Equity which stipulates that governorship seat of Abia should rotate among the three senatorial districts of the state viz: Abia North, Abia Central and Abia South. 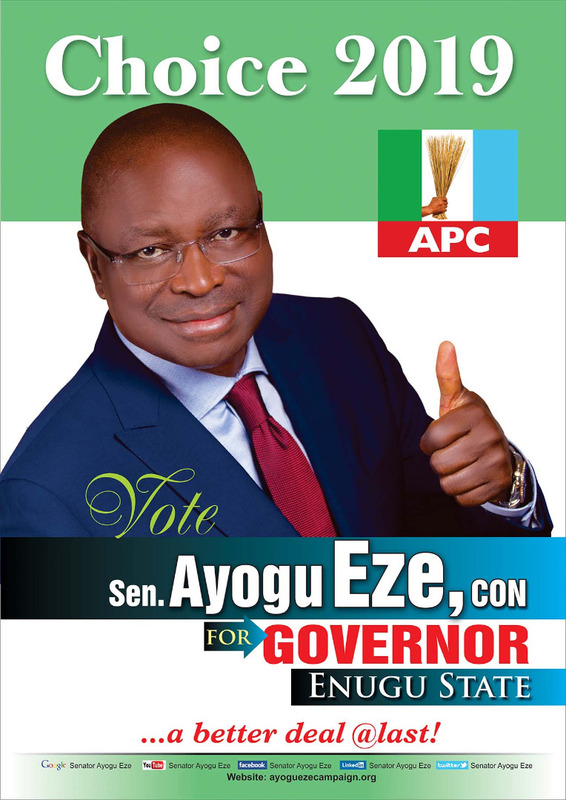 And it favored the current Governor who hails from Abia South Senatorial District. Both Uche Ogah and Alex Otti are from Abia North Senatorial District, which governed from 1999 to 2007 when Chief Orji Uzo Kalu was Governor. After his eight-year-tenure, he handed over to Abia Central which held sway in the state from 2007 to 2015 with Senator Theodore Orji taking charge. Ikpeazu came in 2015 for Abia South, his eight-year-tenure of two terms will be completed in 2023. 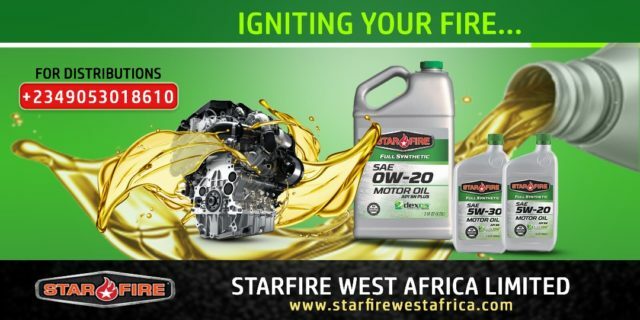 For Alex Otti, he was completely ignorant, neglected and or deliberately failed to acknowledge and consider the political configuration of the state. As someone from Arochukwu Local Government Area in Abia North, he went to Ohafia Local Government Area, also in Abia North, to pick a running mate, Mrs Uche Eme. Meanwhile Arochukwu and Ohafia Local Government Areas make up the Arochukwu/Ohafia Federal Constituency. It was politically and practically impossible for Abia North or Arochukwu/Ohafia Federal Constituency to produce both a Governor and Deputy at the same. It was a major blunder for APGA and Alex Otti. Such political miscalculation blighted their chances and proved both tragic and fatal to their governorship ambition, accounting for their colossal defeat in the election. Like many observers said, APGA and Otti were simply not prepared for the election. In addition, both UcheOgah and Alex Otti lost the support of their party men before the election. Bearing in mind the implications of the Abia Charter of Equity on the polity and the need to support one of their own, the Ukwa-Ngwa and Abia South members of the APC took a decision to support the second term bid of Governor Ikpeazu. Some of them felt, and rightly so, that it was the correct thing to do. They went on air and declared their support for Governor Ikpeazu. There was also a report that APGA members from the Ukwa-Ngwa, and Abia South axis took the same decision of dumping Alex Otti for Governor Ikpeazu. For the Governor, it was a victory foretold. Outside the support from his people across party divides, Ikpeazu in four years as Governor, has major landmark achievements that stand him out, making it impossible to beat him in the election. His unflinching efforts in infrastructural upgrade of the state, which was in a state of comatose when he came to power in 2015, was a major boost for him. Aba which was completely abandoned, got infrastructural attention with all roads leading into major markets, particularly the Ariaria International market, all fixed to ease movement of persons, goods and services. Also, the Made in Aba campaign which had direct impact and touch on artisans, small and medium scale businesses in Aba, particularly shoe, other leather works and garment dealers, was not just a master stroke, but a sure bet for Ikpeazu. A culmination of all of these gave way for the resounding and seamless victory of the Governor Ikpeazu at the polls, defeating his opponents with a huge figure of 261,127, winning 12 out of the 17 local government areas of the state, including Obingwa, Isialangwa North, Isialangwa South, Osisioma Ngwa, Aba North, Ugwunagbo, Ukwa East, Ukwa West, Umuahia North, Umuahia South, Ikwuano and Ohafia. 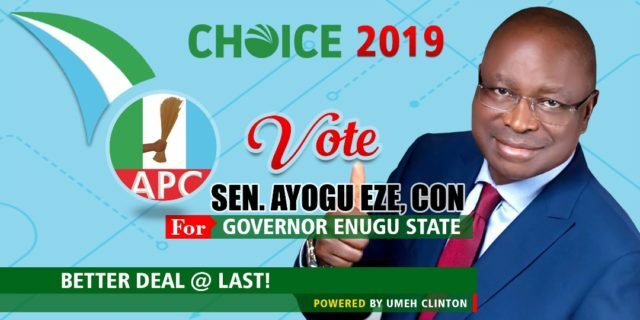 His closest rival, Uche Ogah of APC scored 99,574 votes from three local government areas of Bende, Umunneochi and Isuikwuato, while Alex Otti of APGA who came a distant third scored a paltry 64,366 votes from Arochukwu and Aba. Finally, it ended in praise.